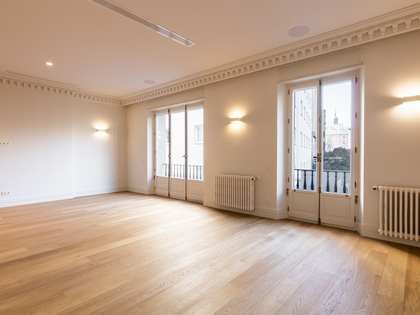 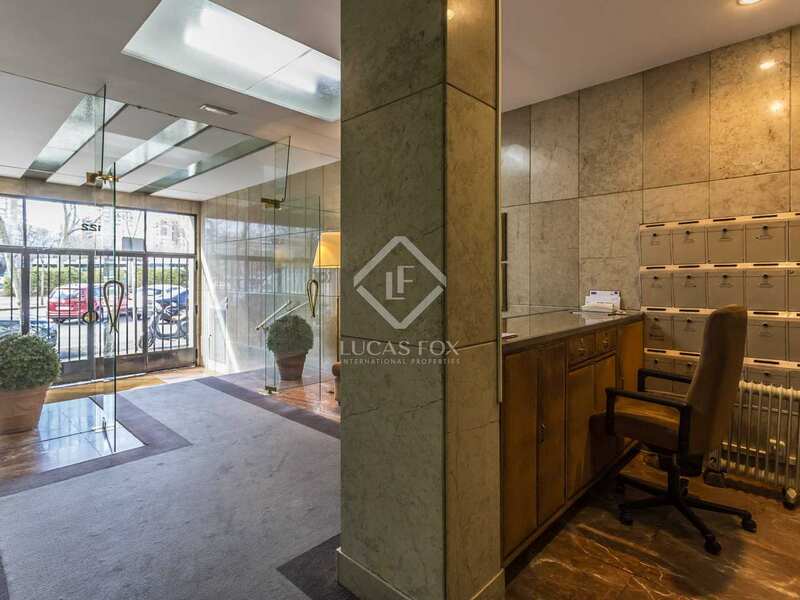 Property of approximately 300 m² located on the eighth floor of a building on Paseo de la Castellana, almost opposite the Picasso Tower, 2 minutes from El Corte Inglés on Castellana and numerous shops on the Paseo de la Habana. 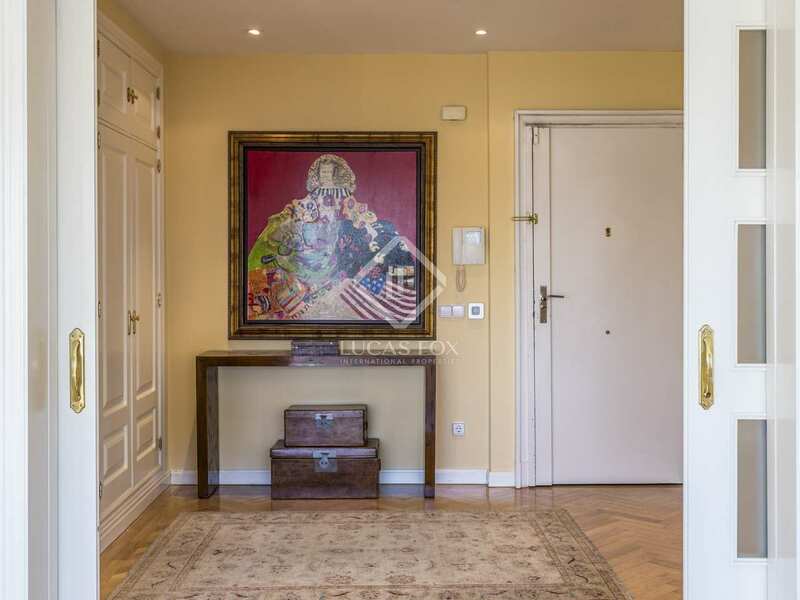 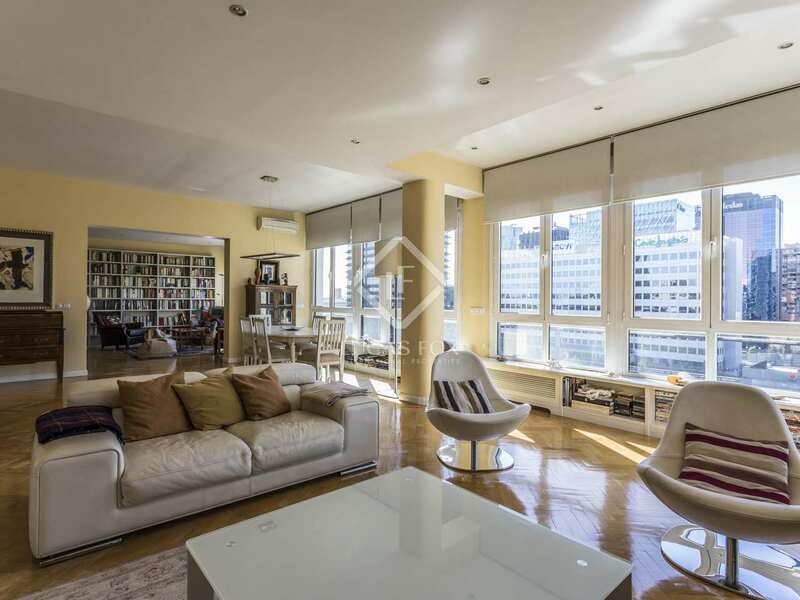 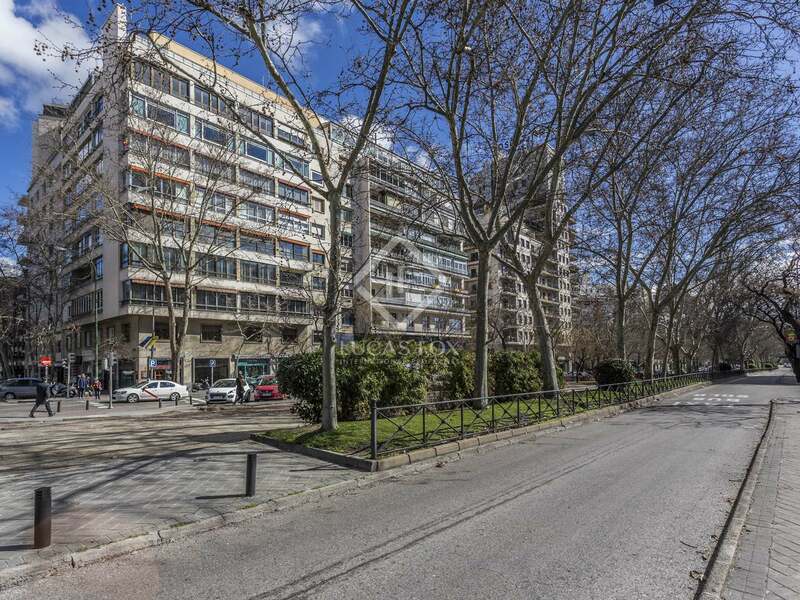 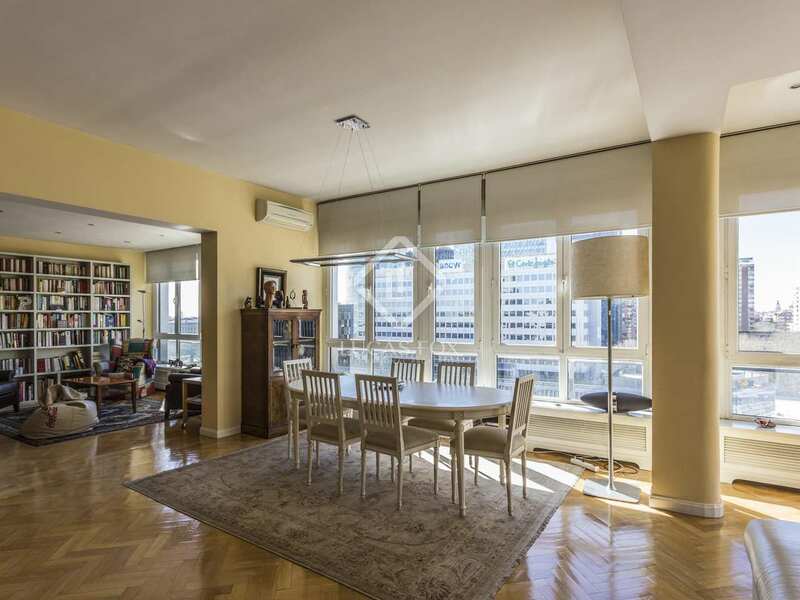 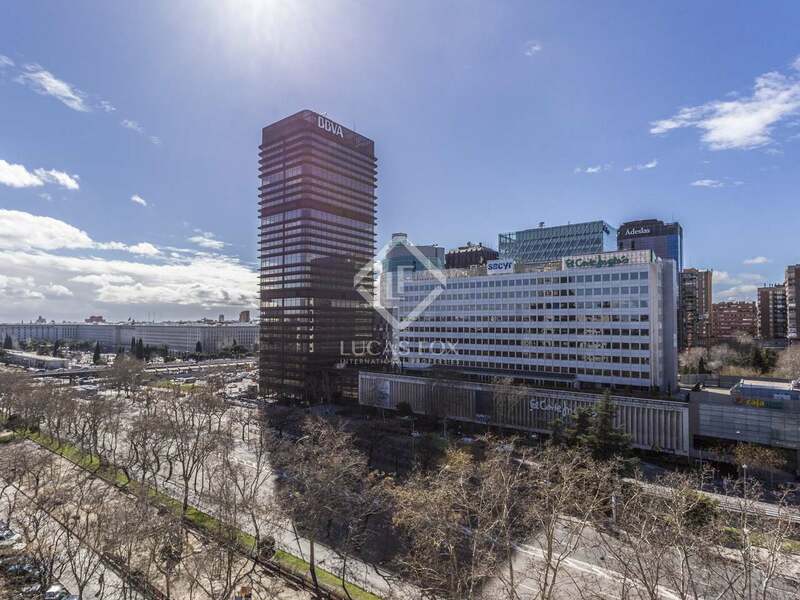 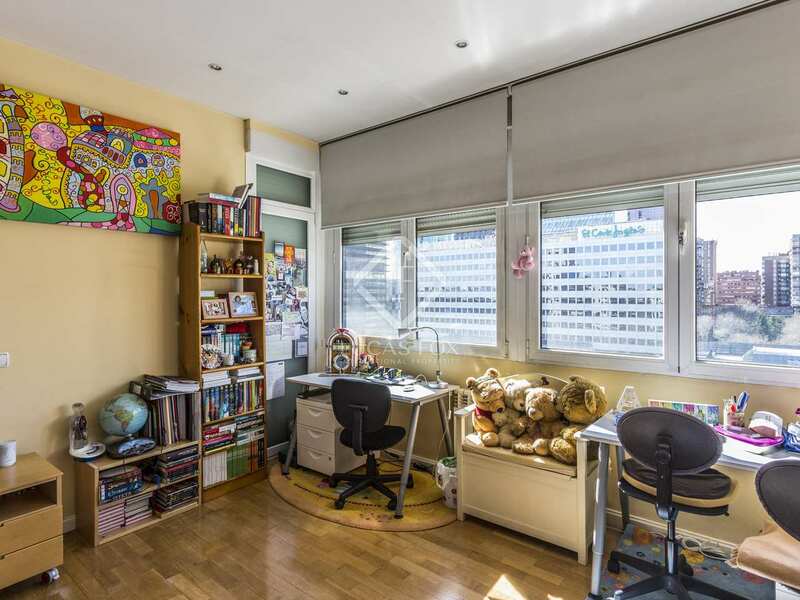 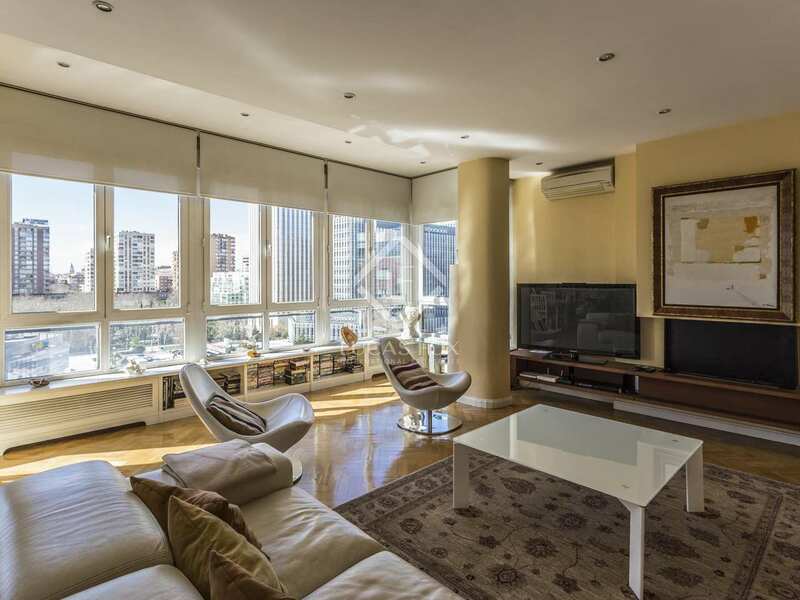 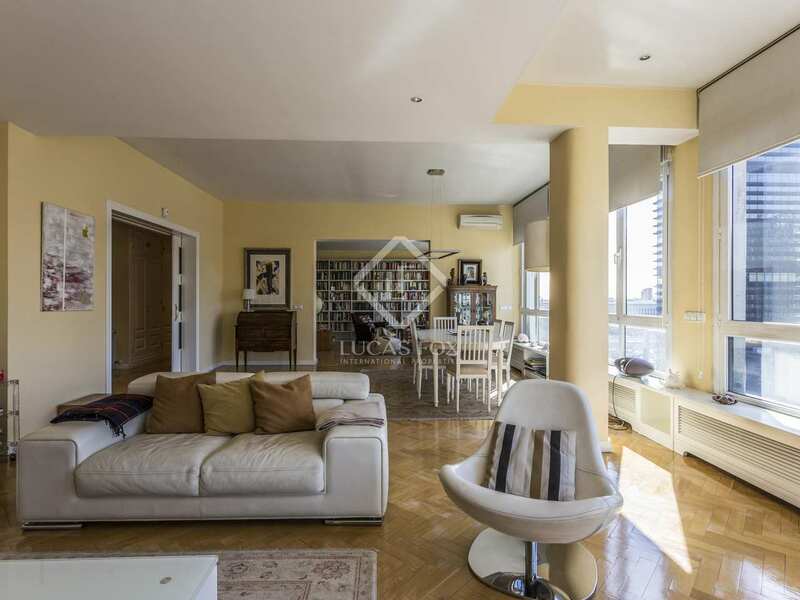 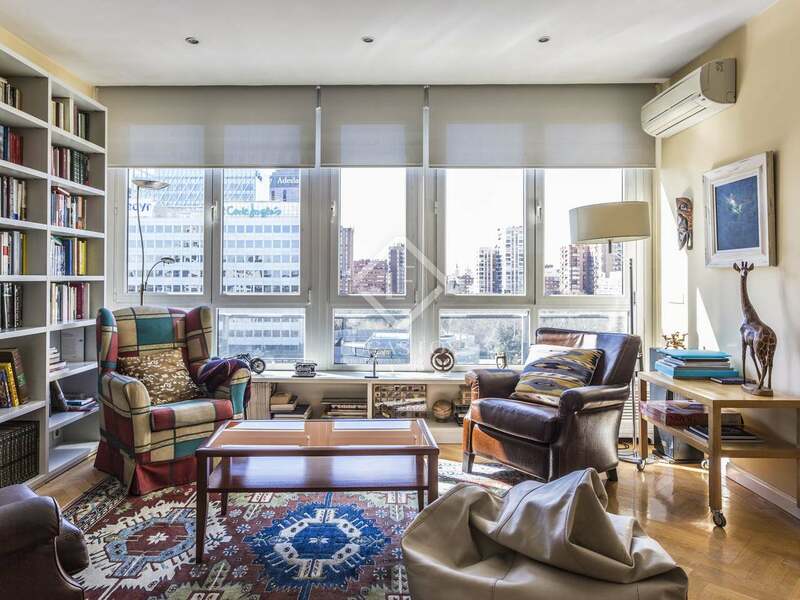 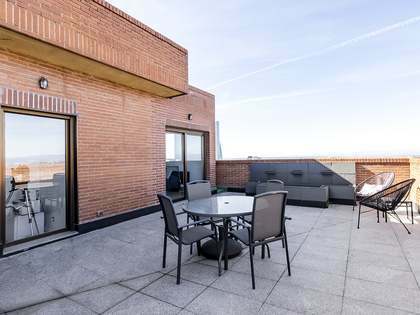 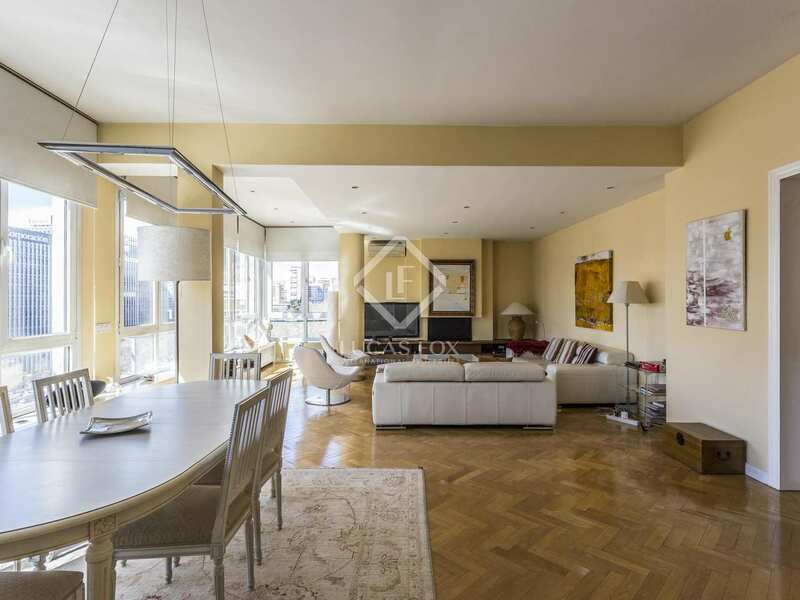 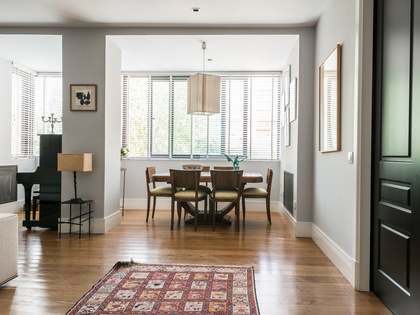 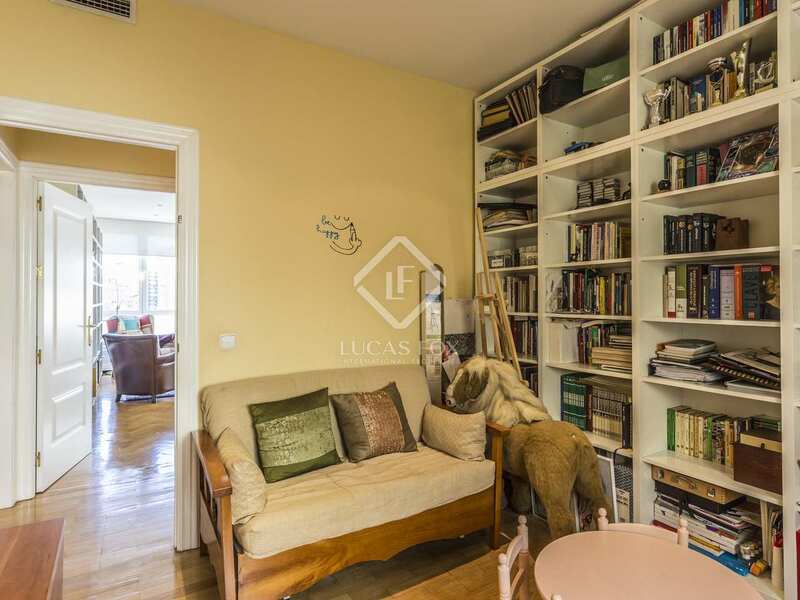 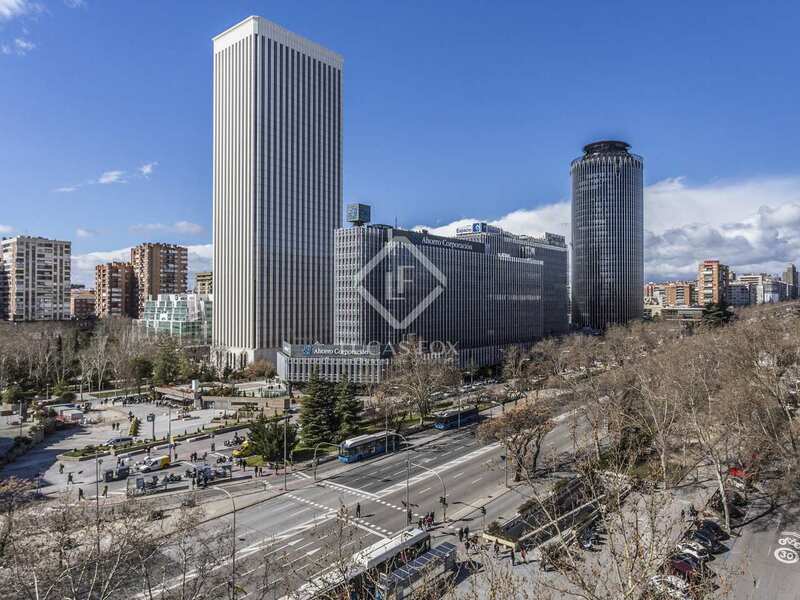 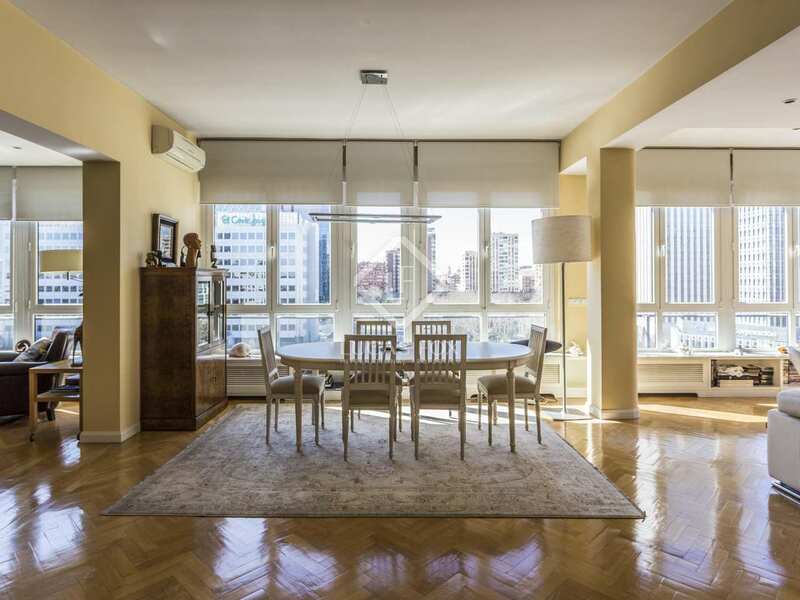 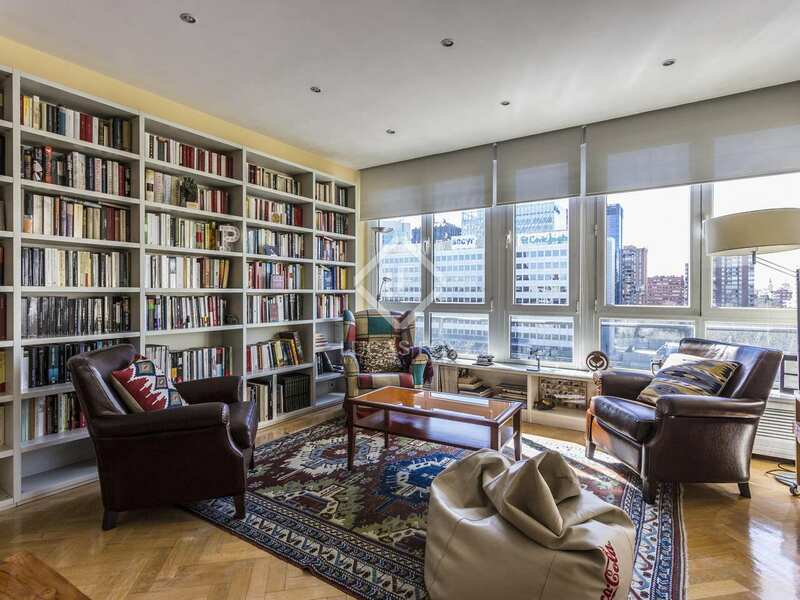 Being on a high floor the apartment offers open views of the Paseo de la Castellana and beautiful sunsets to the west. 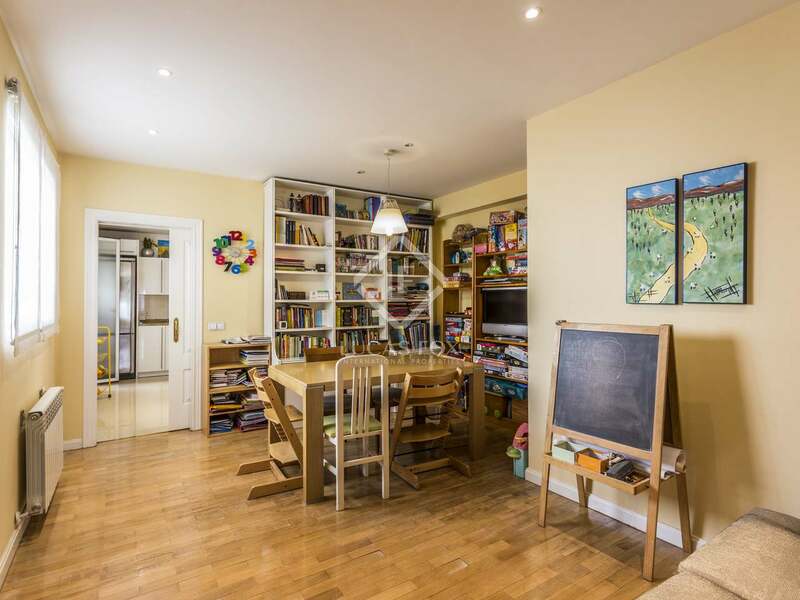 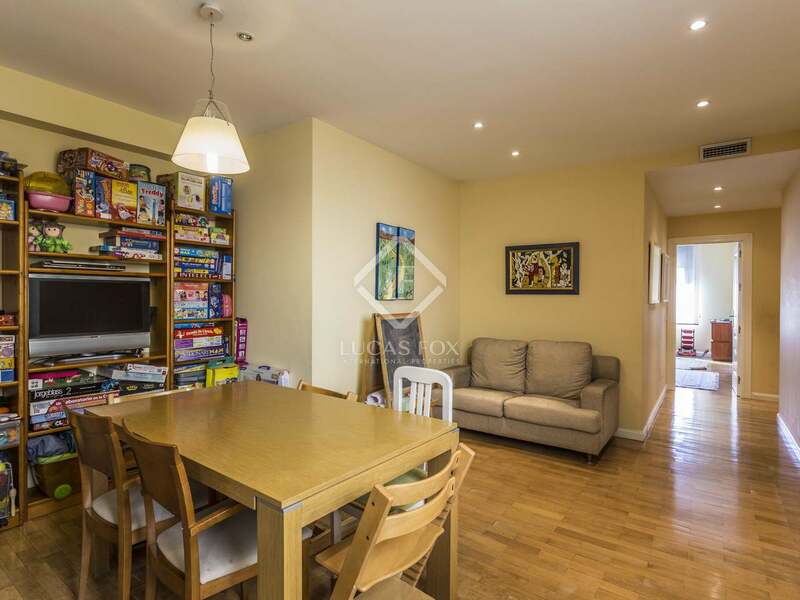 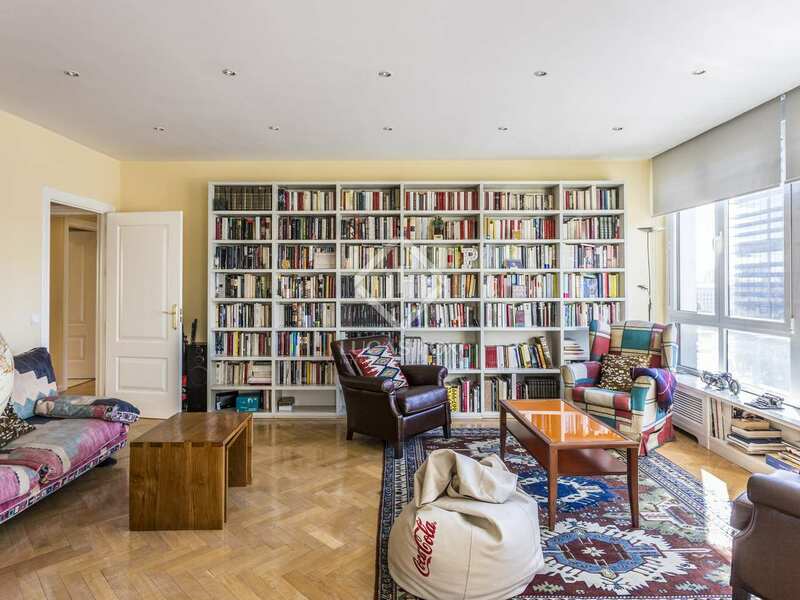 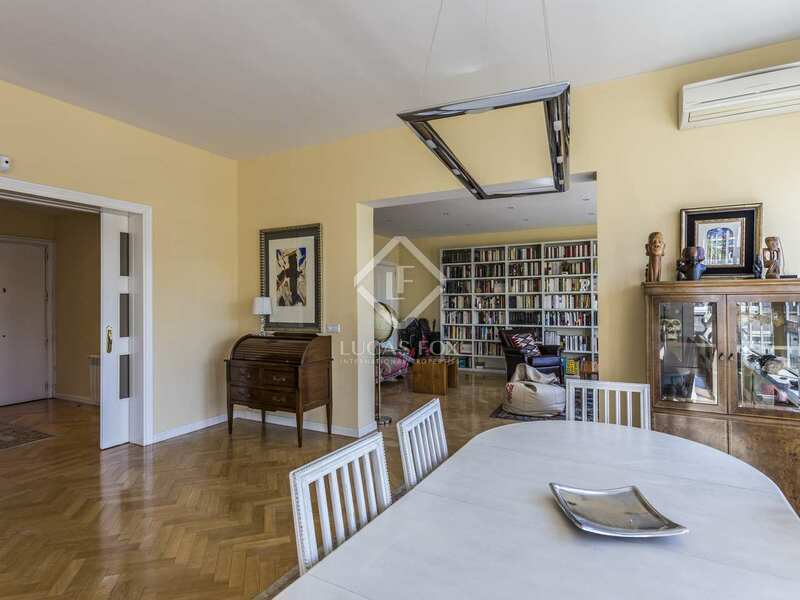 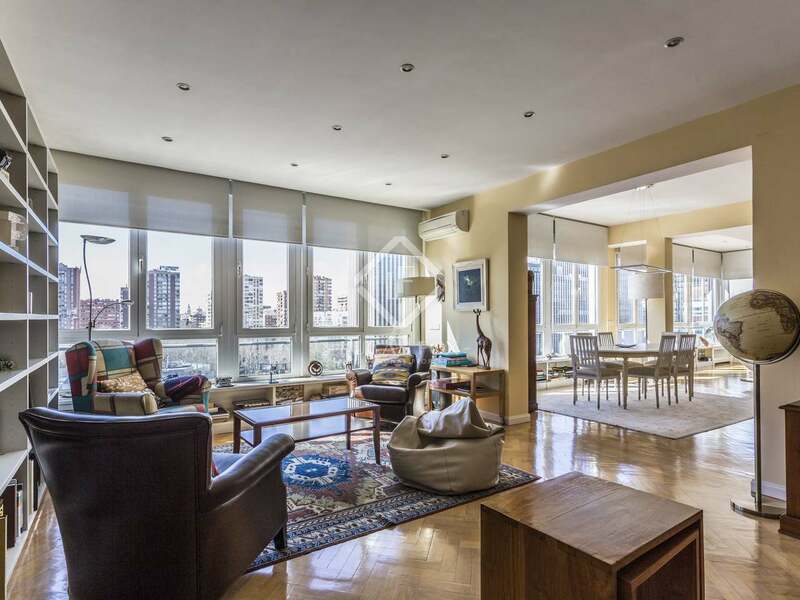 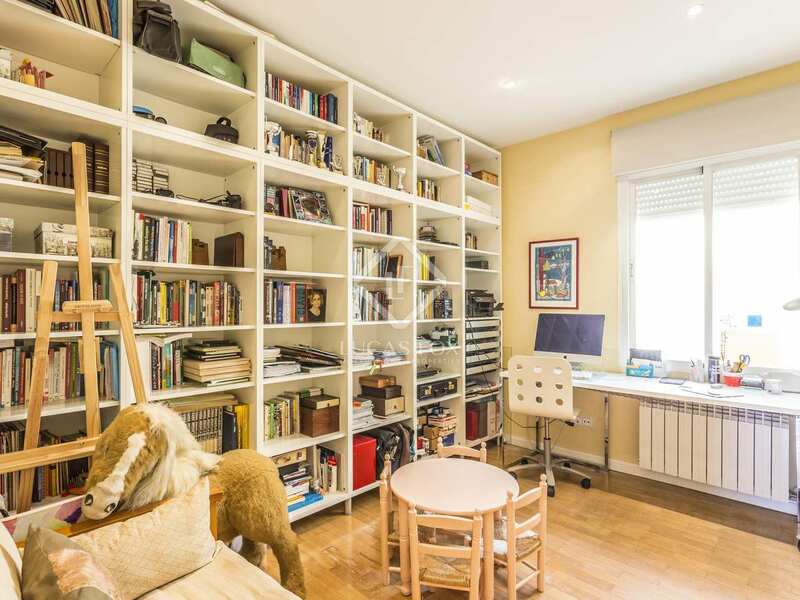 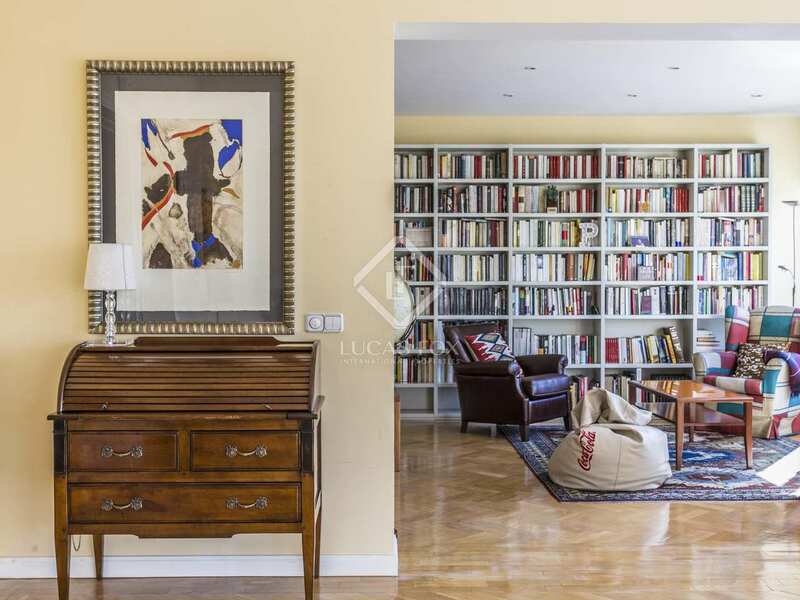 The apartment has a useable area of approximately 250 m² that is divided into a large hall with a big reception area of about 75 m², offering a corner living room and an adjacent library, all with large windows. 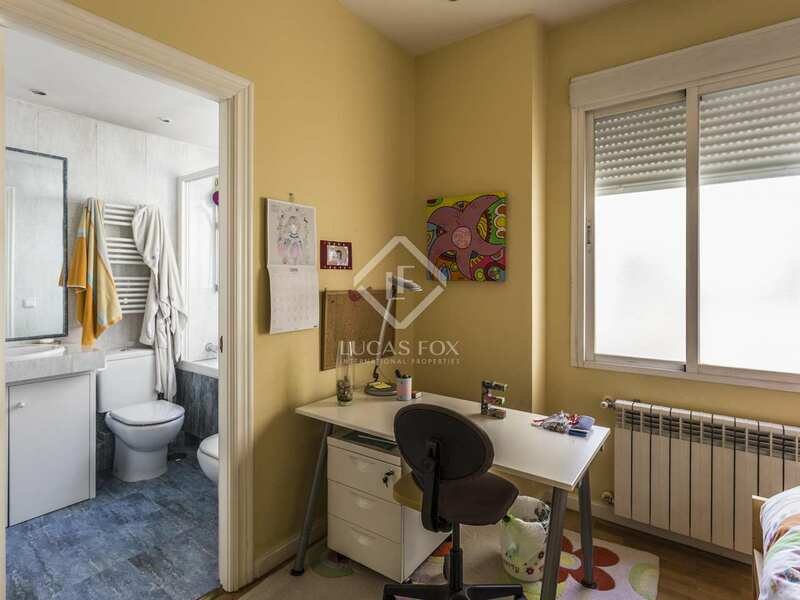 Before arriving at the night area there is a guest toilet and an office. 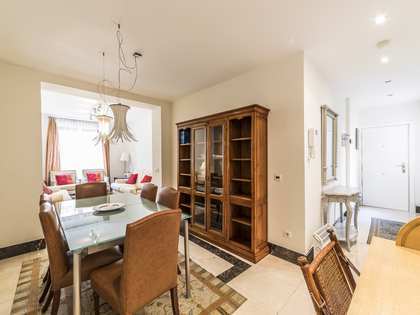 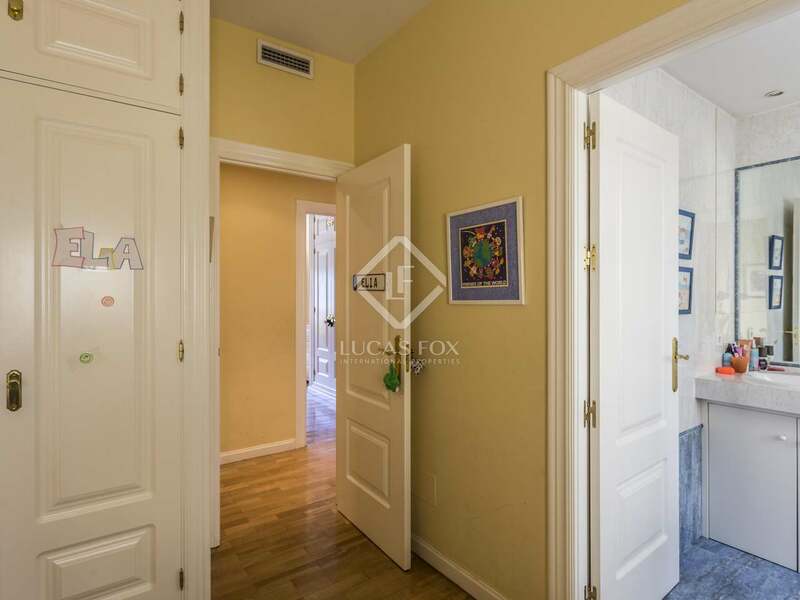 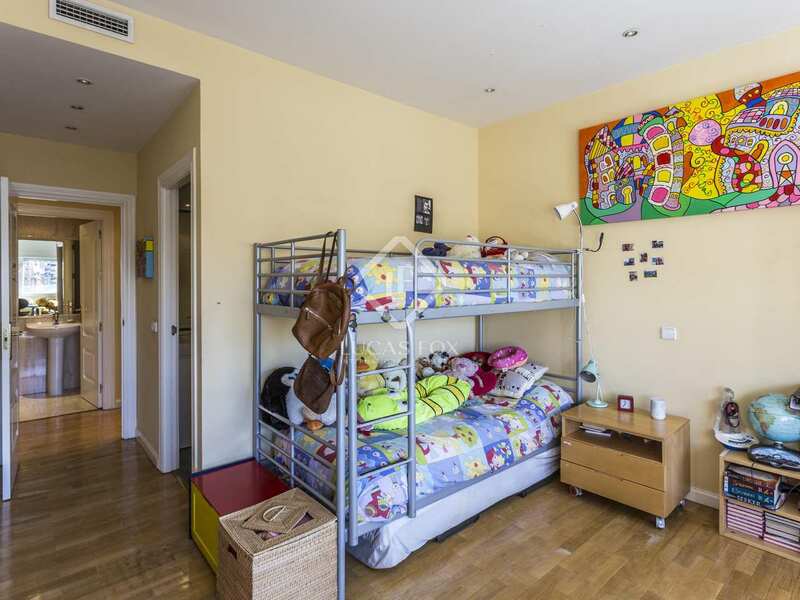 It has 3 bedrooms with private bathrooms, including the main one of about 17 m². 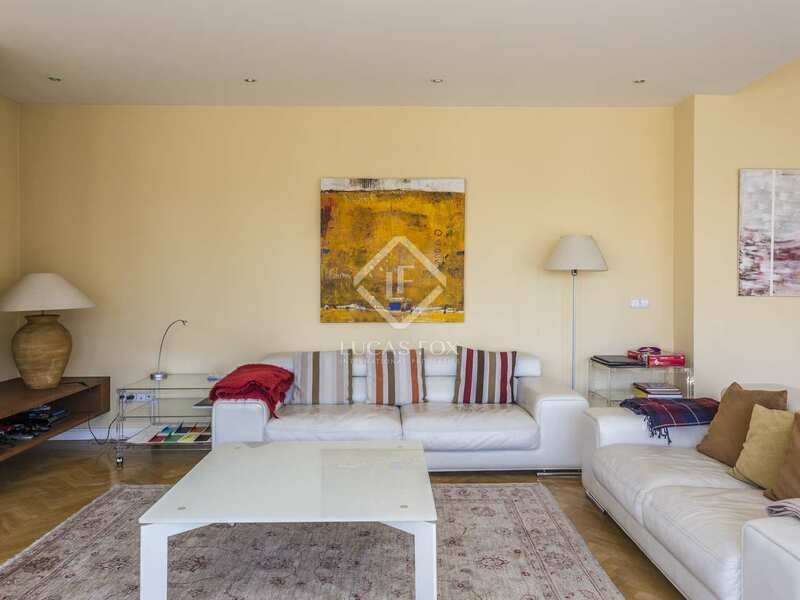 Before reaching the kitchen we find a spacious living room. 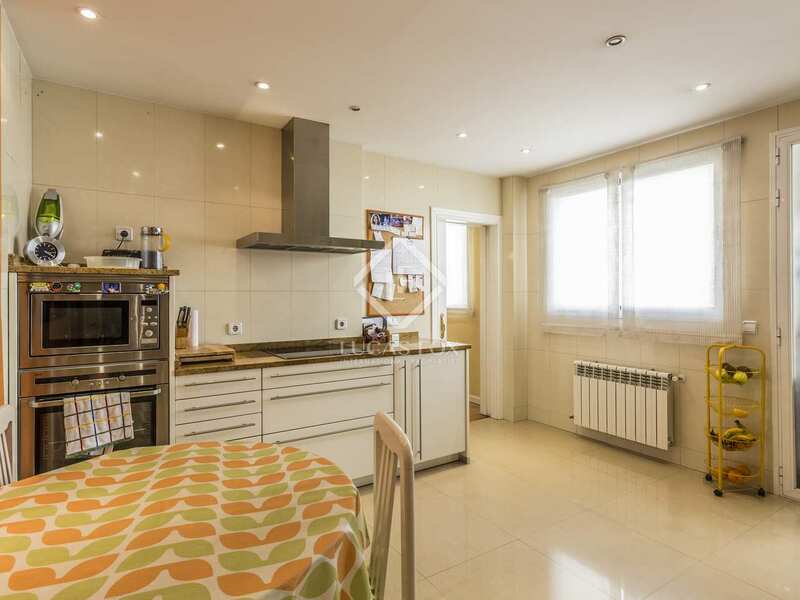 The kitchen has a separate laundry area located on a small interior drying area. 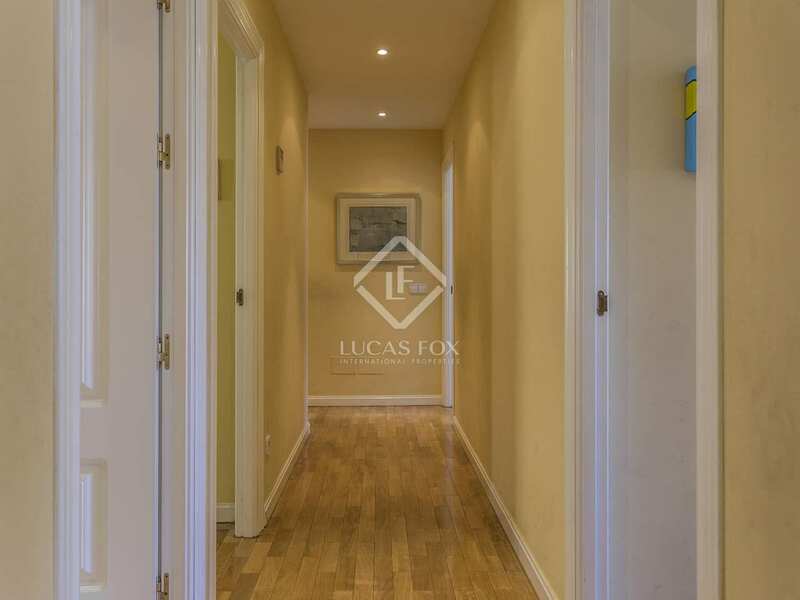 It also has a complete service area with a bedroom, bathroom and separate entrance. 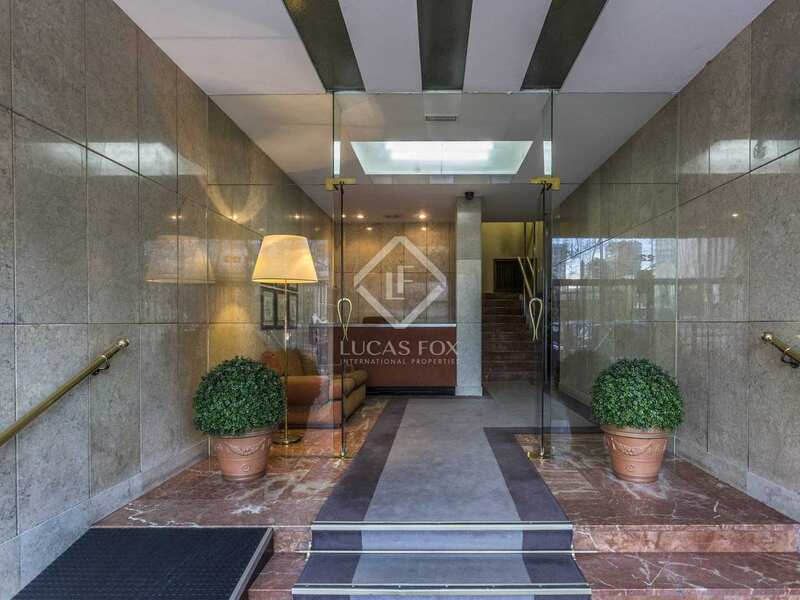 The apartment has central heating and a concierge service. 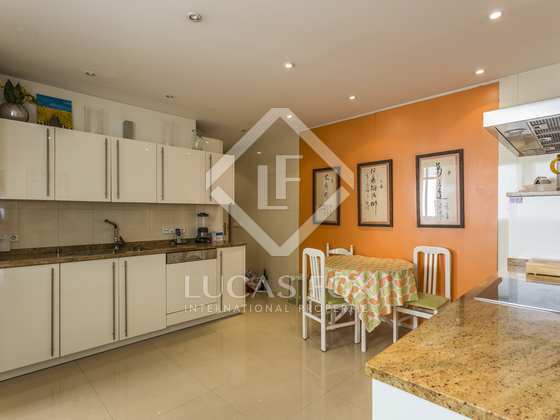 Ideal for a family because of the spaciousness of the rooms and its excellent layout. 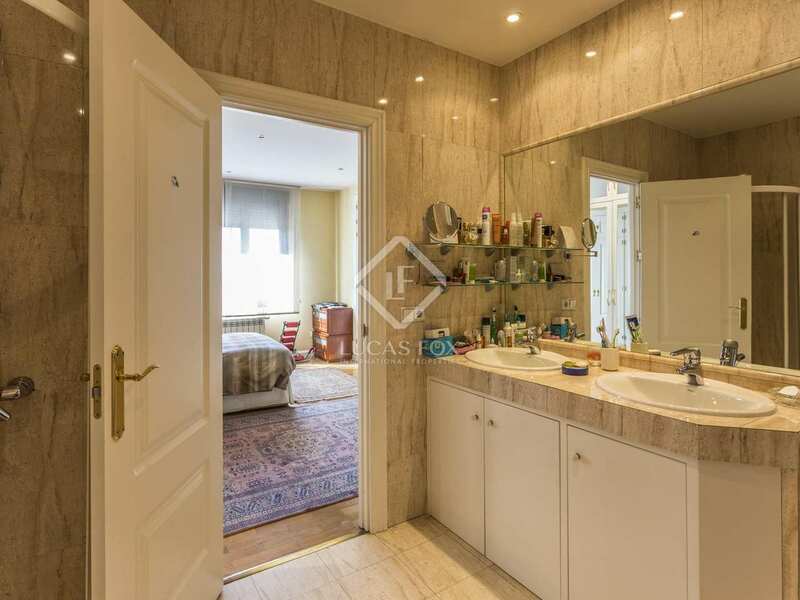 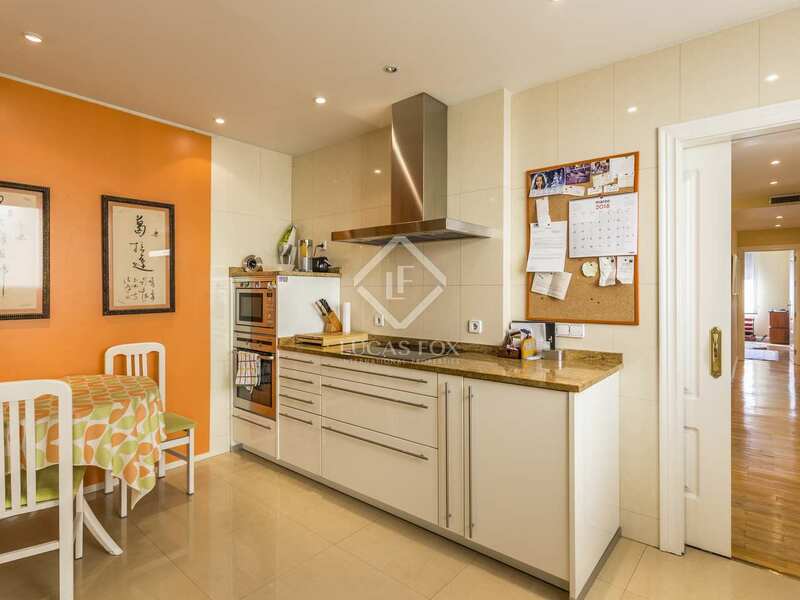 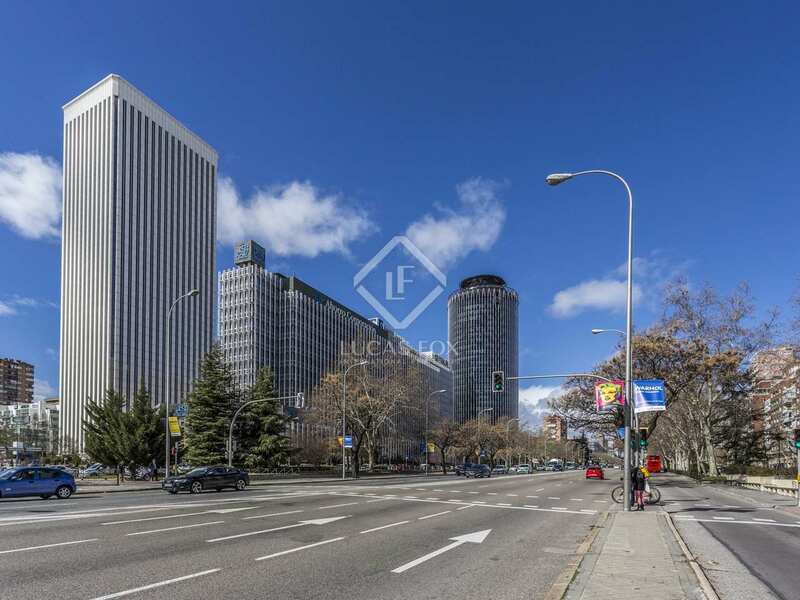 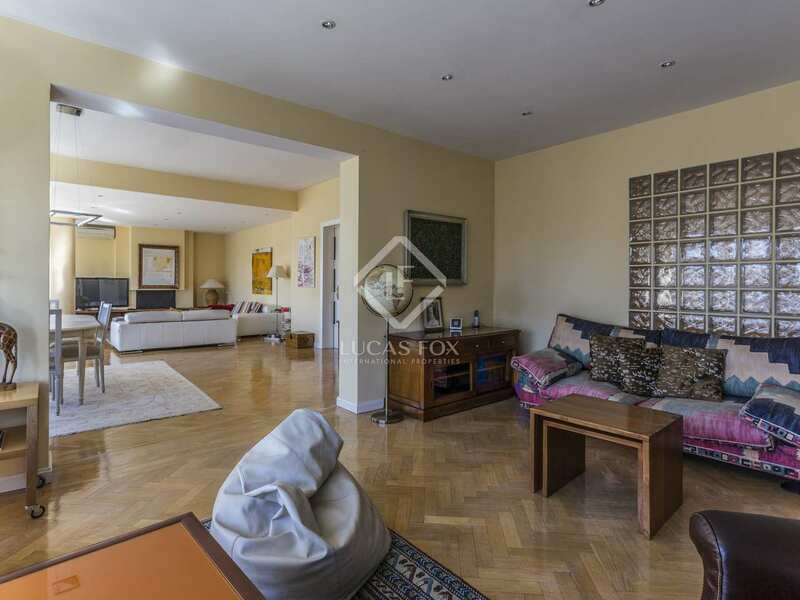 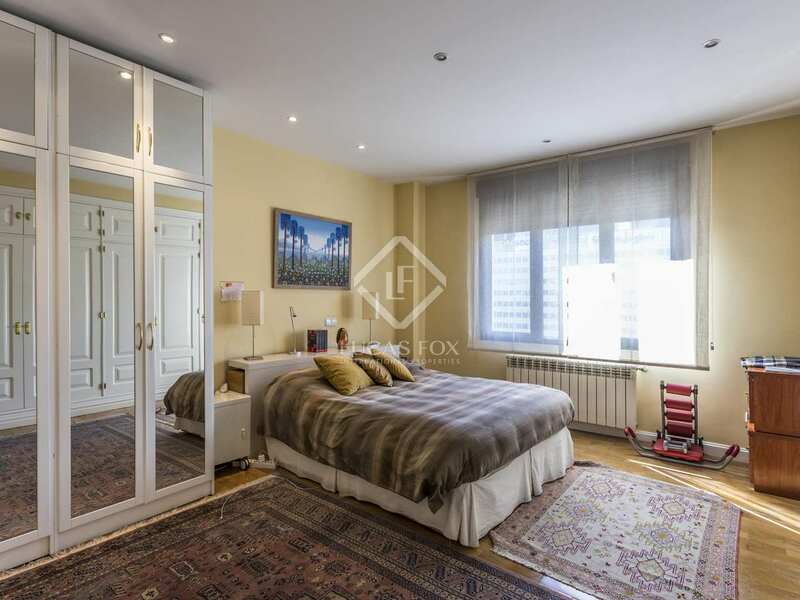 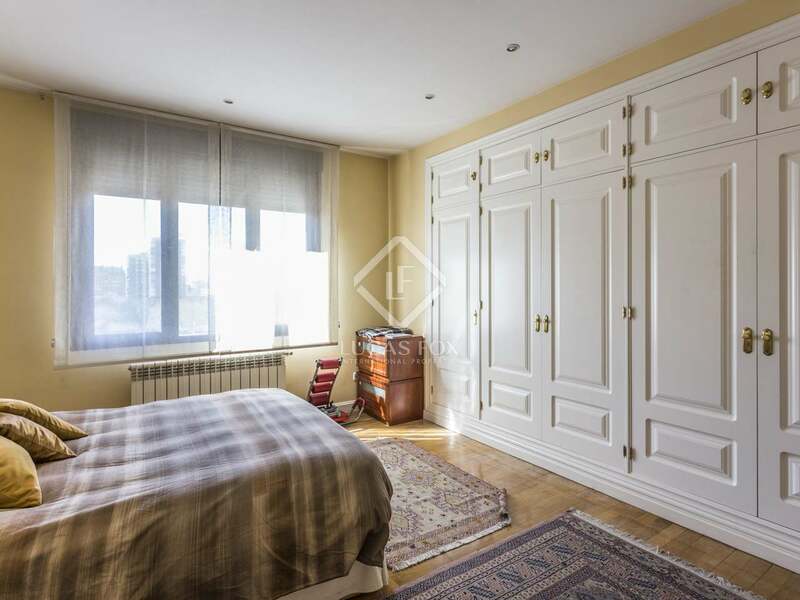 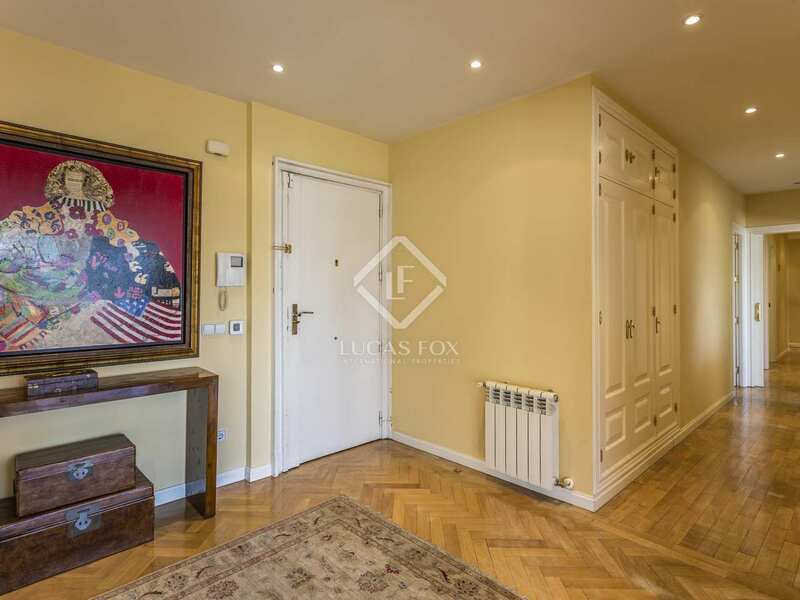 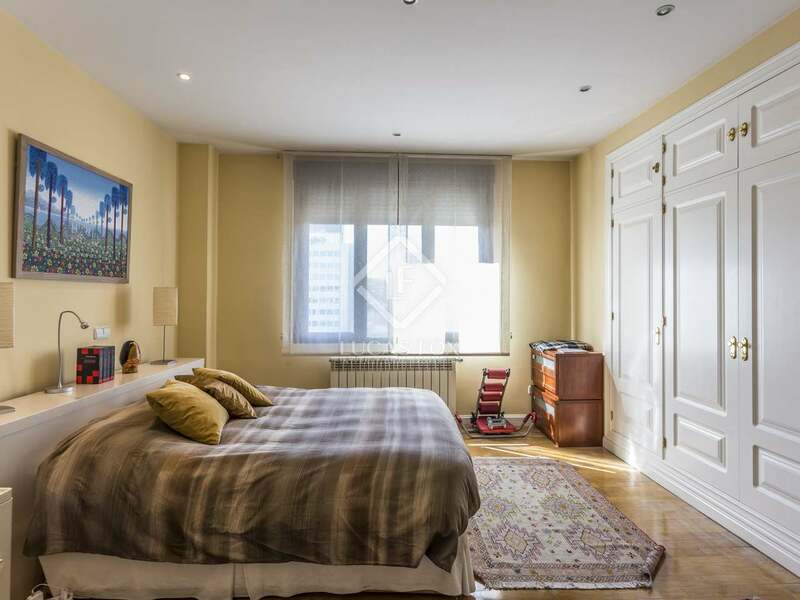 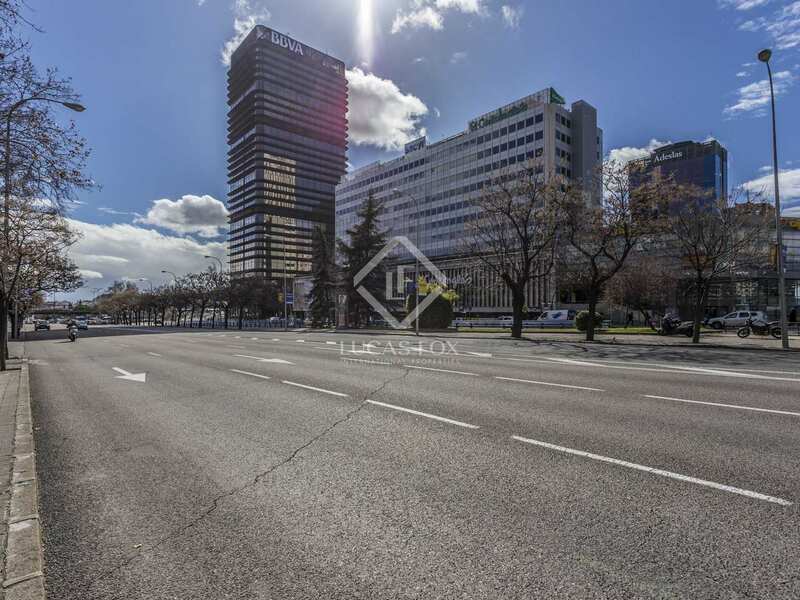 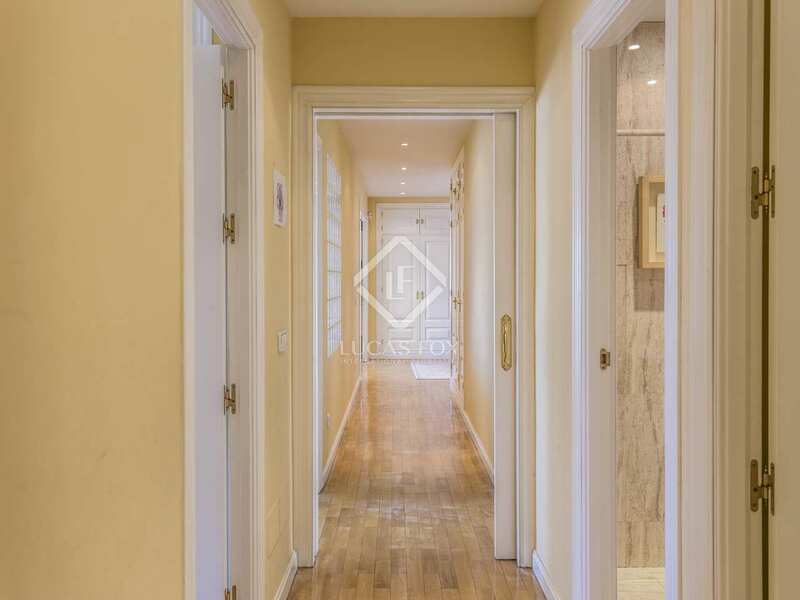 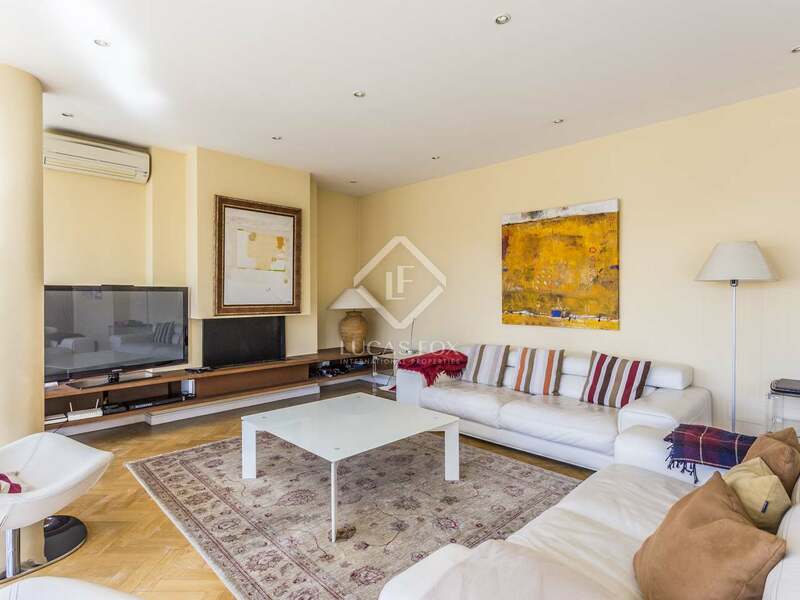 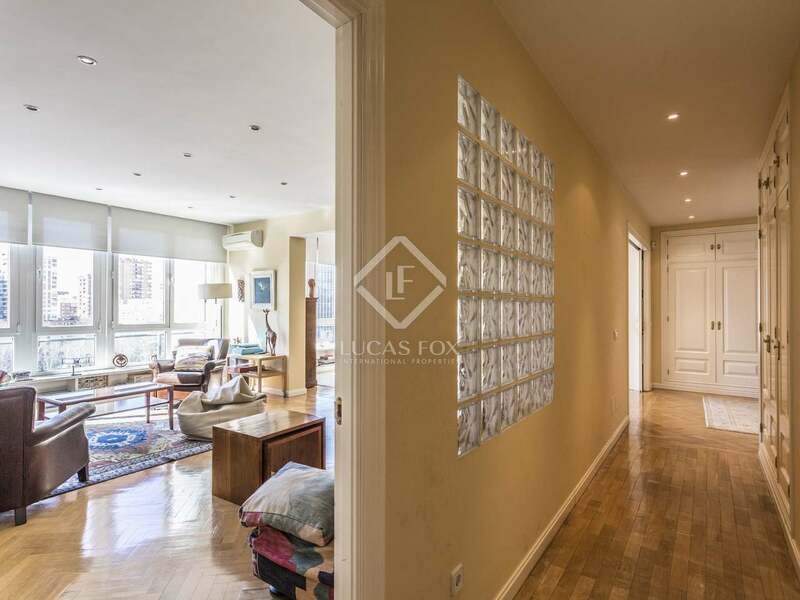 Property located on Paseo de la Castellana, almost in front of Torre Picasso, 2 minutes from El Corte Ingles on Castellana and the many shops in the Paseo de la Habana area.